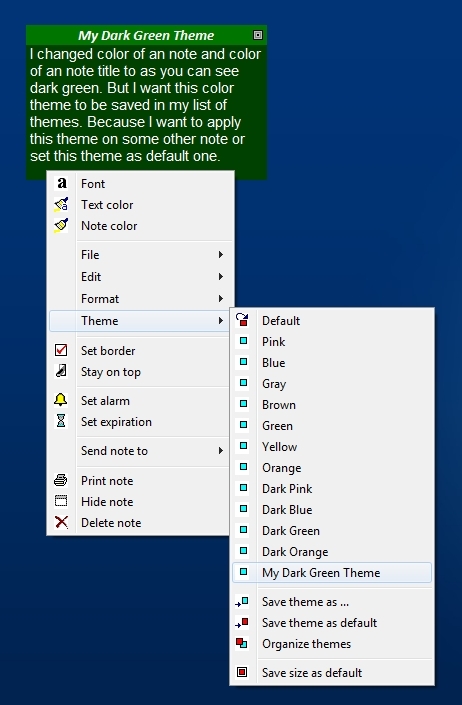 In this article I will show you how easy is to create your custom note theme(s). 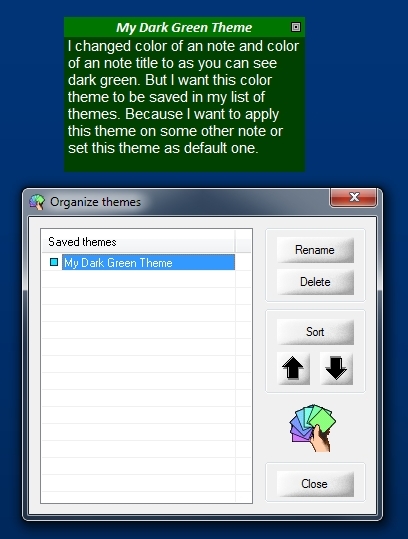 First you change note color for example in dark green, set note text color to white, then also change title color like I did on image bellow. 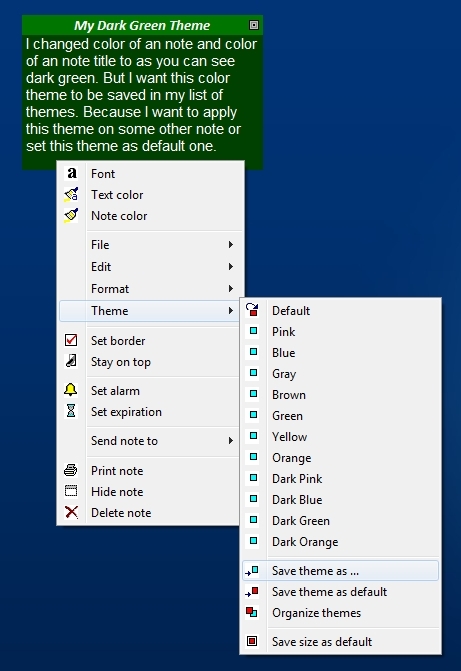 After that open note menu and select "Theme" - "Save themes as ..." item in note menu. 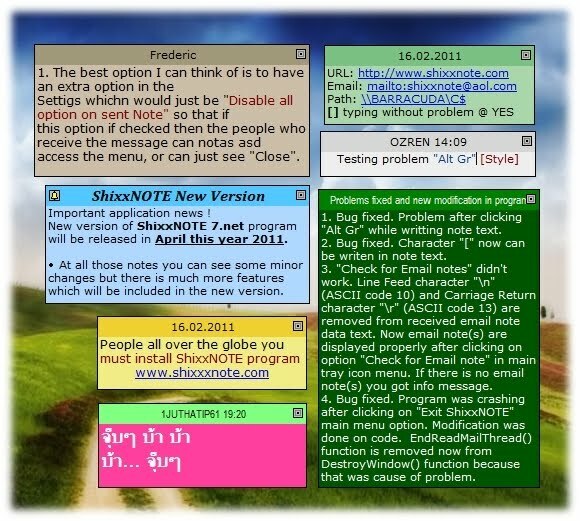 You will get small dialog to write the name of your custom theme. That is all ! You have created your custom note theme. Also your theme is saved in list on themes in note menu. So if you want to change note theme on some other note you simply open note menu and select your saved theme. Then your for example yellow note will be changed. And finally in note menu under "Theme" sub menu you can select "Organize themes" item and then you will get dialog like this one on the image below and in that dialog you can change order of your custom saved theme(s) also you can change name of your theme. 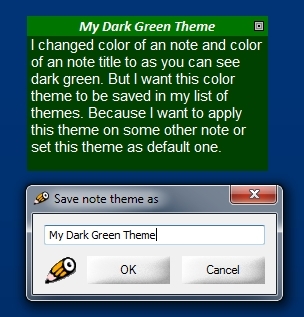 I hope now you understand how easy is to create and use note theme(s).